Ex-Christadelphians: WHAT'S YOUR TAKE ON THE BIBLE NOW? What's your take on the Bible now... do you believe it at all?? Or just don't take it literally?? Thanks for your email Derek. Your question is a huge one and deserves a 350 page answer. But my time is always at a premium so I am afraid that I'll have to rush off a short answer for you. The key point is that I am convinced that the Bible is not inspired by a supernatural God. My reason for that belief is the total lack of credible evidence to support such a hypothesis coupled with a wealth of evidence that the Bible is riddled with thousands of unexplained mistakes, contradictions and even repetitions. I find the usual Christadelphian "evidence" for the veracity of the Bible to be plain ridiculous. It only convinces people who are not objective or impartial. Like dying patients wanting a new drug to save their lives, the Christadelphians convince themselves that the Bible is inspired by a paranormal God. It's a mental delusion named Confirmation Bias and it can be studied by clicking here. I will take just one example from many nonsensical pieces of "evidence" that Christadelphians proffer to support the supernatural origin of the Bible. Christadelphian John Hellawell thinks that the instruction to the Hebrews in Leviticus to wash their hands is evidence of the divine origin of the Bible. If he considers that to be evidence for the truth of the Bible, I can only reply that I see it as evidence of the incredible power of Confirmation Bias to horribly warp and distort the thinking of an otherwise highly intelligent man. But I do not criticise him. For over twenty years when I was a Christadelphian my poor mind worked exactly like his. It terrifies me that I could have succumbed to such madness. 1. The surrounding people also washed their hands. 2. Muslims wash to purify themselves to this day. 3. Uncontacted tribes in the Brazilian rainforest wash their hands to avoid dirt and pollution. 4. Even cats and dogs lick their paws in an instinctive reaction to keep clean. That one piece of silly evidence is typical of the dozens of other bits of evidence that Christadelphians offer in a lame effort to support their contention that the Bible is a paranormal production. Cult thinking elevates the significance of that irrelevant piece of information about washing hands to important significance in the mind of a Christadelphian. 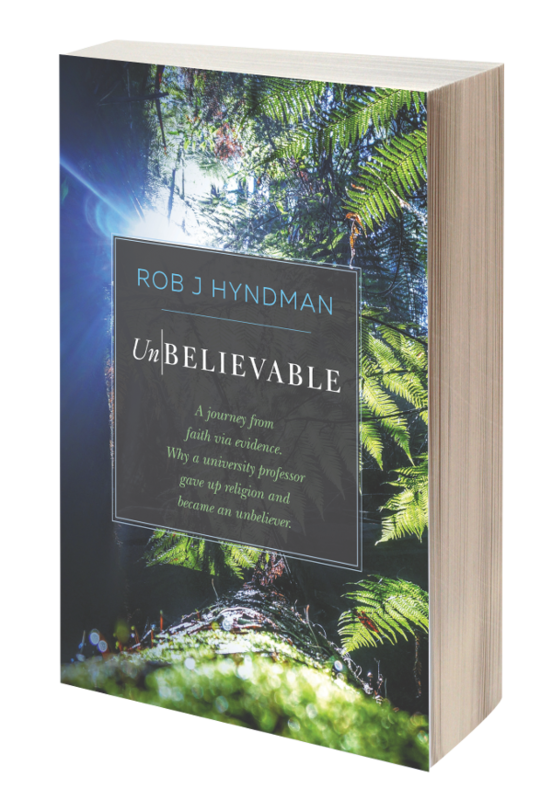 Only we Christadelphians who have come to our senses and resigned are able to break through the devilish enchantment of Confirmation Bias to realise that the whole thing is barking mad. That's not an insult. Thirty years ago you would have heard me speaking off Christadelphian platforms all over the UK and in other parts of the world, sprouting twaddle like that. You can still purchase Christadelphian preaching booklets written by me from Detroit Christadelphian Book Supply in the US. If you read them I sound just like John Hellawell or Paul Billington, or any one of a thousand other Christadelphians today who still peddle that snake oil. Did you witness Paul Billington address Israeli Prime Minister Netanhu? It was stomach churning, embarrassing lunacy. When I saw it my jaw dropped. But the truth is, thirty years ago I would have done exactly the same thing and I would have been proud of what I did. I'm disgusted with myself that was so foolish. But for those brethren today who remain trapped in the delusion, I sorrow that part of their minds have lost touch with reality and drifted off into insane thinking. Parts of the Bible are true. Some of the historical material is true in parts and false in other parts. For example there is zero evidence for the sojourn of the Hebrews in Egypt or the Exodus wanderings in Sinai. The closer you get to our own times the more accurate some of the historical content. As for the New Testament; I consider it to be a production of the early Roman Catholic Church; along with sacred relicts, bones of saints, pieces of Christ's cross, the Turin Shroud, the sale of indulgences and the policy of burning witches and boiling heretics alive in vats of oil. I view the New Testament as only useful insofar as I can use it to expose rampant Christadelphian hypocrisy when they ignore its moral teaching. - Which they do all the time. I view much of the moral teaching of the Bible to be primitive and misguided. Some of it is acceptable or even in places admirable. I view the prophetic sections of the Bible to be a joke. The "internal consistency" of the Bible is due to its being edited, largely re-written an out together during the Babylonian exile, possibly by Jeremiah. (See "Who wrote the Bible" by Richard Elliot Friedman). I view the book of Revelation to be equivalent to the wild drawings on his bedroom wall of a schizophrenic patient in a lunatic asylum. If not, then please feel free to read my longer essay on this subject by clicking here.